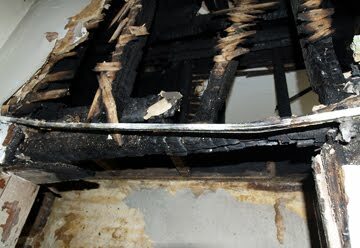 Real Estate Investors of Virginia: $200 REWARD -- PLEASE STOP CATCHING MY HOUSE ON FIRE!!! $200 REWARD -- PLEASE STOP CATCHING MY HOUSE ON FIRE!!! I bought a foreclosed house on 832 Patterson Avenue in Roanoke from the bank a few months ago. The house was previously owned by a landlord who is the commander of the American National Socialist Workers Party, Bill White. The American National Socialist Workers party is an offshoot version of Hitler's party. White is very well known both locally and nationally for his controversial views. So well known that he even has a Wikipedia page. White is presently serving a 2.5 year prison sentence for racially related statements he made to tenants in the Virginia Beach area. Enough with the background information. A couple weeks ago I was the victim of an arsonist. This person caught the corner of the 832 Patterson house that I bought from the bank that was owned by Bill White on fire. 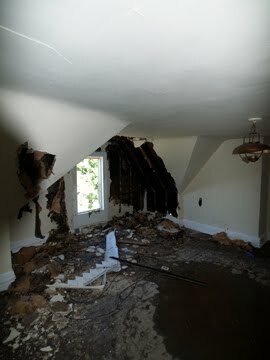 Fortunately the fire department showed up quickly and it only caused a few thousand dollars in damage. The following week the arsonist burned another house diagonally behind my Patterson house on Campbell Ave. That house is presently owned by Bill White. The fire department called this fire an electrical fire because it started at the box. After this fire I called Detective Williams to ask him about these fires and if he thought they were related. It's a pretty big coincidence for these two houses both at one point in time owned by Bill White to have had been burned in just a week. I suspected that these fires were possibly related and Detective Williams agreed. Another indication is that Bill White had the power on in the vacant Campbell Avenue house for the past 2 years. It seems a little funny that for 2 years that box was fine and all of a sudden it catches fire for no apparent reason. Last night the arsonist went back to my 832 Patterson house and burned it again. This time it appears that they climbed up on a 2nd floor porch and broke into the back door. The fire seemed to happen in a closet on the second floor and it burned up through the walls into the third floor apartment and did some pretty heavy damage as it worked it's way up the walls and poked out of one of the peaks just below the roof. I've been contacted by most of the local media about this fire and have given a few interviews that will air tomorrow. It is very clear now that there is someone trying to retaliate against Neo Nazi Bill White and they thought my house was still owned by him. 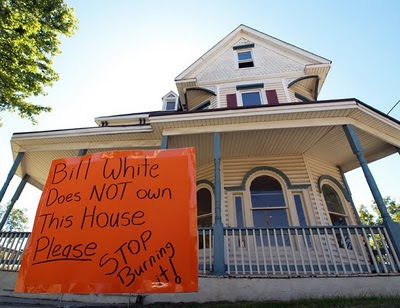 I also felt I needed to post bright orange signs all around the house that say "Bill White Does NOT Own This House. PLEASE stop burning it!!!" in an attempt to notify the arsonist that I am not his or her enemy. In all honesty, I don't know what to do to stop this person. I had previously disagreed (click here) on this blog with Vice Mayor and City Councilmen, Sherman Lee's idea to put 24hr surveillance cameras in the low income areas of town but am now having second thoughts. The ability to put "temporary" cameras in high crime areas might just be a good idea. The problem I see is the high likelihood that the government will abuse their power as they do with everything they put their hands on. I'm a hard working guy who's just trying to make a living by fixing up junker houses and turning them into nice, safe and affordable housing for the people of Roanoke. I would like to offer a $200 reward to any single person who gives information that directly leads to the arrest and conviction of the individual or individuals who burned my house twice. If you have information please call me at 540-293-2335 or detective Williams at 540-853-5304.